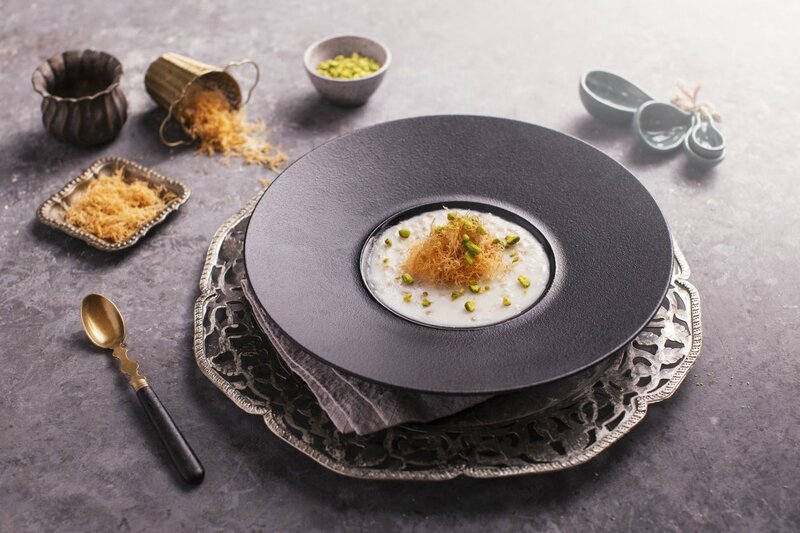 Konafa is a Ramadan essential, but add it with Ashoura and you’ll get a delightful mix of konafa, nuts and grains. Give this recipe a try – you’ll be glad you did! Tear the konafa into threads and mix it with the sugar. Add 50g melted butter and spread it in a single layer. In a large pan, bake the konafa in the oven at 180ºC for 4 minutes, until it's golden color. Heat the 2L of milk and add the wheat to cook for 5 minutes. Add 500g of Carte D'or Vanille Mousse to the milk and wheat, mix it well. Pour the mix into the serving plates and allow to cool down. Top it with the baked konafa and sprinkle with the salted pistachio.